The life of the church does not consist in simply meeting together on Sunday mornings. Our small groups; Home Groups and Chatterbox Plus, give us an opportunity to meet together informally during the week. 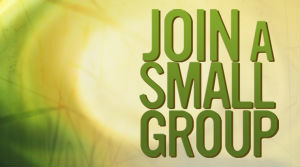 All of our small groups are different and you are encouraged to find one where you feel you can belong. Each group is a unique mix of people who help each other grow relationally and spiritually. They provide the perfect smaller setting to meet with friends and feel a part of the family at Woodmansterne Baptist Church. Everyone is encouraged to be linked to a Home Group for fellowship, Bible study, prayer and support. These small groups enable closer or deeper fellowship with a small number of people from within the Church. It is also presents the ideal opportunity to question, discuss, learn and share. Our current Home Groups meet on Tuesday, Wednesday and Thursday evenings in members' homes or at the Church premises. Please contact David Meseg for further information on 07902427774. Chatterbox Plus meets on a Wednesday morning (term time only) from 9.30 to 11.15 am and share a variety of short courses, DVDs and more recently books together, ranging from women's and parenting issues, personal development and gentle introductions to the Christian faith. Babies and pre-school children are cared for by a team of helpers from the church whilst the mums enjoy a hot coffee and an hour together in conversation. For further information please contact Krissie Meseg: 01737 668570.